The Gentleman Crafter: Dylusions Meets Halloween! Well, I'm getting ready to go on vacation this weekend. Back to my favorite place to go and recharge...The Atlantic Coast!! The bags are not packed nor the clothes washed...but the reservations have been made...That's a start! .LOL! So what have I been doing instead of getting organized? Well... playing with the Dylusion stamps and spray inks again! I can't help it I say! Since this vacation consists of a few days taking some classes in Florida with the Queen Dylusionist herself, Dyan Reaveley, I've been practicing! LOL! That's the way I like to think about it....It's justified right? Those bags will pack themselves soon enough! You just gotta love this woman right? So funny and so talented!!! Y'all have an awesome night and thanks for coming by! WOW!!! Unbelievable. You never cease to amaze! I want one (the devil one hee, hee) for Halloween! Have a fun and safe trip. Loving the Dylusional Halloween Masks! Brilliant! Have a wonderful vacation. I'm sure you will have a blast with Dyan! Do you ever sleep? It is just amazing the ideas in that head of yours. 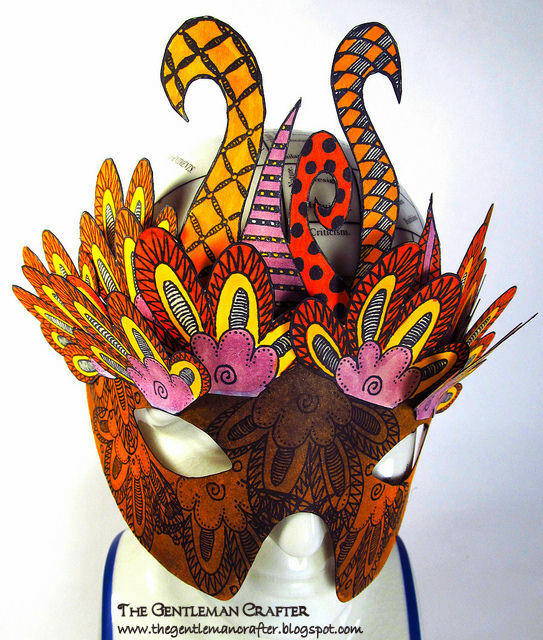 The masks are AMAZING, Dyan will love them. The video, Priceless! Did you see my post about Joe Spencer on your biking witch post? Have a great time with Dyan. I did Shari! That is soooooo cooool! Here's the deal...Accidentally go into his house and accidentally grab a figure and send it to me! See that's easy! LOL! No that is so cool! Joe Spencer was picked up by Gallerie II/C&F Enterprises. A line we sell in our shops. That's how I knew about him and started to collect his awesomeness! Such a small world really! How cool! Thanks again Shari! pretty cool! I hope you fumigate your luggage before bringing it in the house or ewwwwww...spiders and scorpions and...ewwwww...oh my. Have a safe trip! I am loving what you did with Miss Dy's wonderful sprays! I am just coming off a 5-day wonder cruise with Dyan at the helm! You see I live in Kansas and Dyan was here with us for 5 wonderful days! I took as many classes as I could and may I say, you are gonna LOVE being in her classes! I know she will be (and is already) impressed with your work, as we all are. I like the spin you put on using her stamps as masks! Very clever! Loved the bus too! So cute and seventies retro! But back to Dyan's classes...we had so much fun so I am putting a link to my blog so you can see what she was up to before you got her! And please know that I admire your work and you so very much! I have been a fan since I first saw your Robot Man a year or so ago on Tim's Blog. You are a true inspiration to us all! hugs, ReNae Allen in Kansas. Lot's of excitement from you! Terrific masks and some time off. I can't wait to hear how your classes with Dyan turn out.Now, start up that washer and dryer. Fantastic. Can I have the devil one pretty please. Hi Jim, I just love the way you can take her fabulous stamps, add those gorgeous, vibrant colors and bring them to life!! They are absolutely FABULOUS!!!! Have fun on vacation and especially in St. Pete. I'm sure Dyan's class will be awesome. I wish I could join you, but I have to work...:-(. 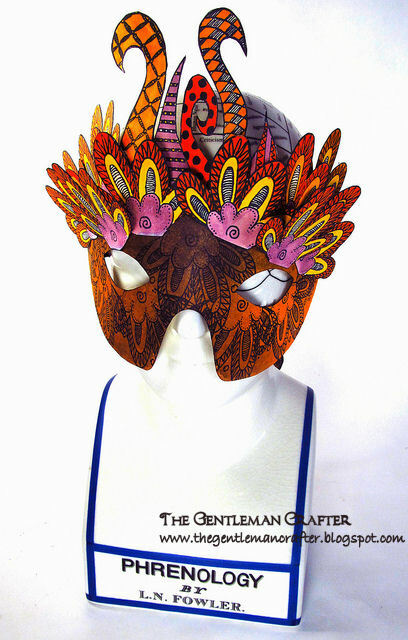 I hope you take the masks with you - she'll love your interpretation of her stamps and colors! Have a blast - there's a lot of us who would love to be able to go with you but know you'll share the fun. Love what you did.....which one are you going to wear the first day!!! Have fun getting inky! LUV THEM!.....have a great time on your vacation - just don't be gone too long - we will miss you! Have a wonderful vacation Jim and lots of fun at the class. Faberoonie!! Like awesome, like omg you rock !! I love Dyan, and you are going to have a creative ball!!! These little masterpieces rocketh and rolleth Jim!!!! Man...you are on fire! 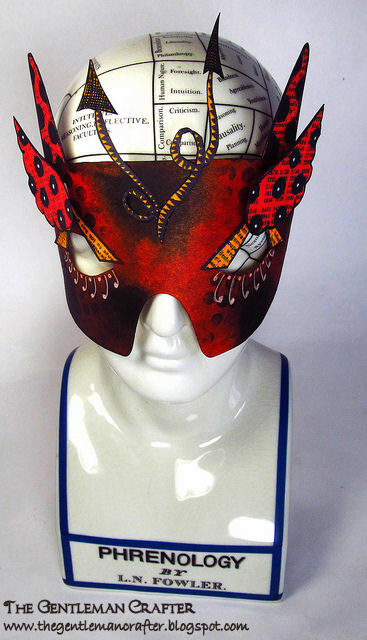 LOVE these masks, they're completely gorgeous. Have a wonderful time, looking forward to reading all about it when you return. Oh baby! My gdaughter would love me so much if I made her one of these!!!!! WAY WAY WAY COOL!!! Fantastic! I need a mask for a party in a month...now I have some inspiration! You + Dylusions = Awesome! Have a great weekend, and oh how I wish I was in the class with you and Dyan, now that's one not to miss! 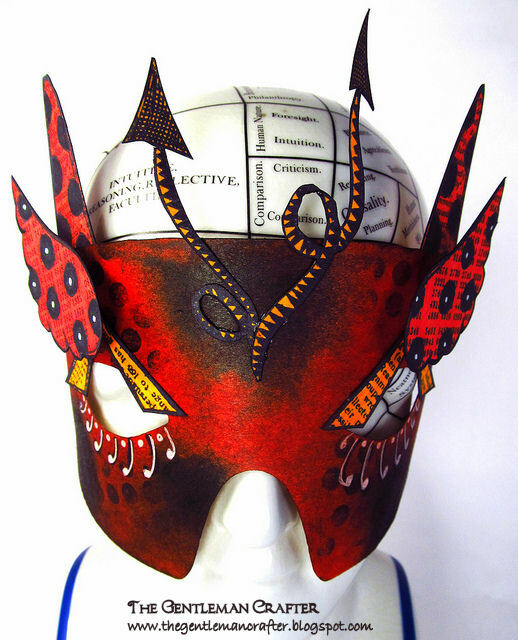 Your masks are superb and please do show Dyan - she will be thrilled I'm sure. I'm glad you're getting a well deserved holiday and I know that you'll have so much fun at Dyan's classes, so enjoy! P.S. If you need someone to carry your case you only have to ask!!! LOVE the masks, Jim!!! You did Queen Dy proud!!! Enjoy your vacation!!! Let's get together when you get back...still have Shiner for you. Totally awesome masks!! Have a good R&R! Oh, Jim these are AWESOME !! I'm lovin' your "Dylusions" ! You have a nice mask! I am planning to wear mask on the Halloween party. Glad that you give me an idea. Wow! Nice mask.I want one for Halloween! 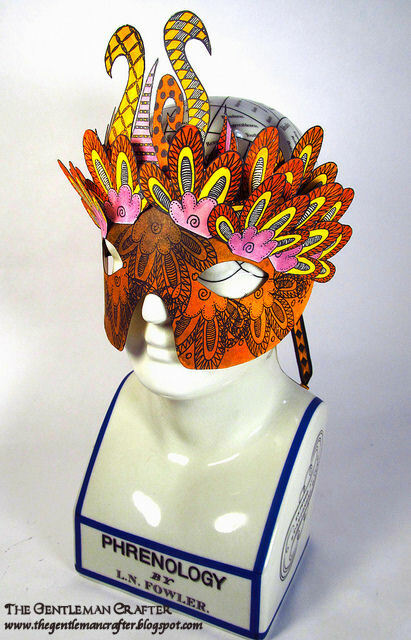 Loving the Dylusional Halloween Masks! Thanks for sharing. Great!It's nice idea to enjoyed Halloween in different manner.Thanks for sharing.